Challenge Logs For your own personal challenges! February 26th, 2018 (5:07 PM). \(^u^)/ Lately, I've reset Y a couple times for different playthroughs. (Is that even a word?) Simply enough, I've always wanted to try a mono-Fairy run; a celebration of our newest type, if you will. But then, as I was starting a new save file, it occurred to me that I've also always wanted to play through a Pokemon game in a language I don't understand. So I smooshed the two ideas together to get this unconventional run! This is also my first journal - I'm really branching out, here! Another oops...I thought you could catch a Flabebe as soon as you reached Santalune City, but it turns out you have to get the badge from Viola Violette first. I buy as many Potions as I can, with plans to sell them back later, and plow through the gym with my illegal starter. Alexa (?) lets me through to Route 4. I make a mad dash for the nearest flower patch. Currently I'm level-grinding Mimi (as well as petting her wittle head and feeding her Pokepuffs). More next time, and hopefully more exciting stuff! February 26th, 2018 (9:31 PM). Edited February 26th, 2018 by EmTheGhost. ...NOTHING. I went to see Sycamore ("Platane"), met up with Serena in the cafe, and got the psyduck out of there. That place is bewildering enough in English. The professor offered me a Kanto starter; I can't use any of them, but I detected a glint of wanderlust in the Bulbasaur's eyes, so I took him and set him free when no one was looking. So, I head over to Camphrier Town ("Fort-Vietas") and Shabboneau Castle ("Fort de Vanitas"). You know how it goes - ran into a sleeping Snorlax ("Ronflex"), went off on a sidequest to Parfum Palace ("Palais Chaydeuvre")...The "corner-the-Furfrou" puzzle is just as annoying as I remember it, but the language barrier didn't make it particularly worse. ...Seriously, does that Furfrou mix Carbos into its morning kibble? Why is it so fast?! PROTECT! That's what it is. I go ahead and teach it to Mimi in place of Lucky Chant. Time to hit Route 7...I'm not overly ashamed to say that I ended up running from the Snorlax. The thing is OP at this point in the game. >:/ I've always beaten it before, but that was when I had multiple Pokemon. I gave it a try, it OHKOd Mimi (who was at an equal level), and I just decided to wash my hands of the whole thing. But that's not what's important. What's important are those flower patches further down on the route. So, now that I've had time to really get into this run, I'd like to reflect a bit on what it's like. I've never done a monotype challenge before, and it's...harder and more limiting than I expected. x.x At least in the early game. But, on the other hand, it makes it even more special when you get to catch a new Pokemon! As for playing the game in a foreign language...It's not that hard, since I still remember the game pretty well. It adds a whole new level of fun to the game, not knowing what moves, etc. are called, and having to puzzle things out from the information you have. It's also a whole different experience playing without understanding any of the dialogue - you have no choice but to focus on the battling aspect. February 28th, 2018 (12:24 AM). Edited February 28th, 2018 by EmTheGhost. Belladonna got herself some experience against the Team Flare grunts, who thought they could get one over on me by using Poison Pokemon, and I progress to the back of the cave. I'm offered my choice of fossil; once again, it doesn't matter which one I pick, so I take the Jaw Fossil ("Fossile Mâchoire). Thanks, fossil guy. Maybe I'll make jewelry out of it. I Escape-Rope out of there and make the short journey to Cyllage City ("Relifac-le-Haut"), where I get a yellow bicycle. I don't use it much in these games - I prefer the roller skates - but it's good to have it. At first I wasn't sure if I'd be able to get it, since you have to answer a trivia question; but then I remembered that the question was "do bicycles come in different colors", and the answer options basically boiled down to "oui" and "non". Next time I'm playing in English, I need to deliberately answer that question wrong, just to see how the guy reacts. For a nice change of pace, you can go to Route 10 as soon as you reach Cyllage City, with no badge-related roadblocks...Which means, before taking on the gym, I get to add two new members to my team! 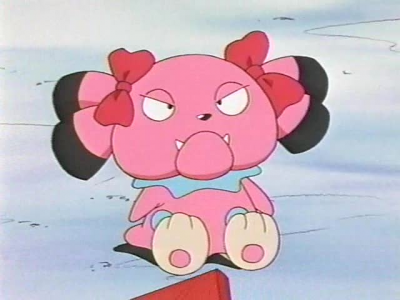 Snubbull! I've always had a soft spot for this Pokemon, but this is the first time I've gotten to use one. I named her "Gladys". ...Orrr at least he will be a Sylveon ("Nymphali") as soon as possible! Named him "Dandy", after a Sylveon I had in that unfinished playthrough. I now have five Pokemon! I'm gonna end the update here and go systematically cuddle Dandy until he evolves. Next time: my Fairy team's first gym battle!! February 28th, 2018 (6:06 PM). Edited February 28th, 2018 by EmTheGhost. All right, here we go!! FIRST canonicalGYM BATTLE!! Yep - Dandy, Mimi and Gladys evolved! Everyone is around level 22. Seeley has changed clothes for the first time, swapping out his Calem-tastic blue jacket for the white t-shirt you have by default, and his boots for a snazzy new pair of red sneakers. I'm so excited, I'm going to skip straight to the battle, which I will be documenting as it unfolds. He sends out Amaura ("Amagara"), I lead with Potpourri - I have a plan, here. Amaura uses Thunder Wave, paralyzing Potpourri. She manages to use Sweet Kiss anyway, but it misses. Next turn, Amaura uses...something, but whatever it is misses, and Potpourri successfully get a Sweet Kiss in! I switch in Belladonna, as my plan was just to see if I could confuse it before starting on the offense. Amaura uses...that same attack, I keep pressing A too fast to catch the name. Whatever it is, it's not very effective. Amaura uses Aurora Beam again - like it's not even confused - and Belladonna survives with 9 health and uses Bite. I'm slowly beginning to chip away at Amaura's health. Next, he sends out Tyrunt ("Ptyranidur"); I swap in Dandy. This is not the first Dragon-type I've fought in the game - that honor goes to a trainer's Axew on some random route - but it is the first one I've fought in a major battle. I feel the urge to giggle maniacally. I assume that's normal for runs like these. Dandy outspeeds, surprisingly, and brings Tyrunt down to yellow HP with Draining Kiss. Tyrunt uses Rock Tomb, doing a moderate amount of damage and lowering Dandy's Speed...darn. Dandy has Quick Attack in his moveset; but that probably wouldn't be enough to take Tyrunt out - I'm going to chance it and use Draining Kiss again. ...Survives at yellow health, uses Draining Kiss and knocks out Tyrunt. We win!!!! With the "Badge Mur" tucked safely in my case, I go back down the multi-story rock structure I just climbed via a flight of stairs, a sheer wall and two slides made entirely of dirt. On my way out the door, I take a look at one of those statues. It's times like these that make it all worthwhile. March 3rd, 2018 (5:54 AM). Edited March 3rd, 2018 by EmTheGhost. As I'm leaving the little town with a terrible destiny, I run into Korrina ("Cornélia") - I'd forgotten that she shows up here and battles you with her two Lucario. I'm a bit nervous at first, but I end up winning fairly easily since neither Pokemon actually knows any offensive Steel type moves. CARBINK!! 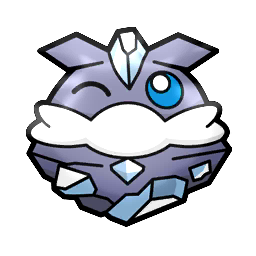 ("Strassie") One of my favorite Pokemon, actually~ I mean, it's A) a tiny, floating geode pixie with a sweet li'l face, B) royal guard to a magical rock princess, and C) a super-ancient being (as per its Y Pokedex entry). What's not to love?! This is the third and final Fairy type I already used in the same playthrough as Mimi and Dandy. Her(?) name is "Cinders"! It's a pun on "Cinderella" - because of how Carbink is said to spontaneously turn into a princess - and also plays off of her mineral nature. Mr. Mime! ("M. Mime") He's not creepy, I swear! I'm so glad to have a Psychic type, both because it's my second-favorite type, and because it makes Poison types that much less formidable. Knowing how Mr. Mime loves to protect itself with invisible walls, I named him...Abri! I couldn't resist! I wanted to try and use the new catches for a bit, to see what they're like; so, Gladys and Mimi will be vacationing in the picturesque meadows of box 1 for a while. Bruiser, Cinders and Abri are now in the party! As a side not, Abri's default moveset was pretty terrible (Psywave, Encore, Reflect & Light Screen); so I rifle through my TM () pocket and give him a quick upgrade. I decide to get rid of the Dual Screen moves, because, in my experience, they're not all that useful in-game. I replace one with Protect, and - hold on a moment. Mr. Mime can learn Infestation? ...Okay, that's kind of creepy. Aaand also so weirdly amusing that I went ahead and taught it to him. ._. Dandy takes out Absol using the power of kisses, and Bruiser, who is also underleveled, beats Froagadier ("Croâporal") thanks to the healing effect of Parabolic Charge. I win! ...Okay, as someone who has always played as the female character (and thus had Calem as a rival), I was not prepared for the face Serena makes when she loses. Oh my goodness. I think I'll cut this update off here and go train the team a bit before the gym battle. See you! March 4th, 2018 (1:00 PM). Edited March 7th, 2018 by EmTheGhost. ...I just caught a shiny Tauros. EDIT: Ugh, so sorry about the sudden long gap :( I just...fell into a slump. I have been playing the game, and the next update will be here soon. March 9th, 2018 (9:04 PM). Here it is; sorry for dropping the ball on this. I can't guarantee that gaps like this won't happen again, but don't worry; I'm not giving up on this run! After a rather shocking turn of events during training ( ), I'm ready for the gym battle! It shouldn't be that hard, because of my type advantage; but I don't want to get cocky. *Potpourri holds an Eviolite and has Draining Kiss, Calm Mind, Attract and Round - basically, her theme is "staying in battle as long as possible". I've gotten way more use out of Round than you would expect; one or two consecutive uses and she's off on a sweep. *Abri...Well, you've already gotten a taste of his strategy during the last rival battle. His current moveset is Psybeam, Infestation, Protect and Substitute. *Cinders has Sharpen, Reflect, Stealth Rock and Smack Down...Yeah, basically the moveset she came with upon capture. It worked pretty well in that other playthrough I keep mentioning! Her role is more "tanking hits and setting up for the rest of the team" than doing a lot of attacking, (although she can certainly wreck things after getting a few Sharpens in). *Mimi has been put on the team in place of Belladonna, due to the latter's neutrality to Fighting. Her moveset is Wish, Fairy Wind, Magical Leaf and Grassy Terrain. She can do some attacking, but it's clear that healing (of herself and other team members) is going to be her main niche. i wasn't quite expecting my starter Pokemon to end up in that role, but there's certainly no shame in it! I lead with Mimi against her Mienfoo ("Kungfouine"). I didn't get around to writing this until some time after the battle (sorry), so I don't remember exactly what happened; but I know that Mimi started by setting up Grassy Terrain, then 2HKOed Mienfoo with Fairy Wind. She took a surprising amount of damage from Mienfoo's NVE attacks, but manages to soak it up with Grassy Terrain healing and a Wish. Awesome. 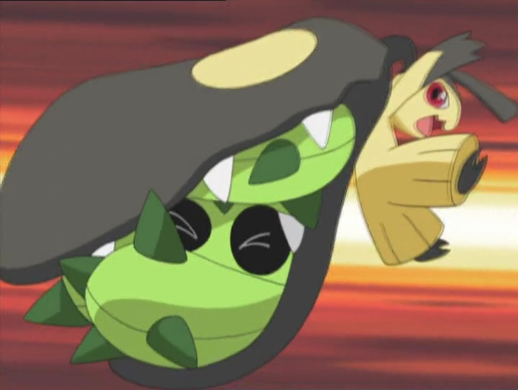 I leave Mimi in against Hawlucha ("Brutalibré"), but she's OHKOed by Flying Press. Time to send in one of the new recruits - Bruiser! Throws out a Fighting/Steel Pokemon. ...Nooo!!! That is literally the opposite of everything he's supposed to stand for!! Why don't I have any other Pokemon in my party?! Cornélia?! WHAT DID YOU DO TO MY FAIRIES?! Okay, be cool, be cool...I use Metal Sound until I lose, and - yes! It's over! ...Wait...What's Cornélia saying? Wh-why is the battle starting over again? What did I do to deserve this? Am I dead? ...S-sorry about that, folks; guess it all got to be a bit much. Long story short, Seeley has been aggressively escorted out of Cyllage City and is currently on the shores of Route 12, hugging the life out of his Fairy friends and letting them know how much they are appreciated. I may have had a bit too much fun writing that Lucario bit >.> But it's true - as long as you Mega Evolve your Lucario during that battle, you can just use status moves until you lose, and Lucario will offer to come with you just like normal. I employed that exact tactic, just to be extra-dedicated to the monotype, and didn't take Lucario. March 20th, 2018 (3:17 AM). Haven't been in a good place lately. Stressed. Has it really been 9 days since I updated this? :( Ugh. One of my problems is that I've played ahead (currently at Lumiose City), so the events I'm supposed to be writing about are far away in my mind. I've decided that the only way to continue this run is by making a quick, undetailed post summarizing things; then, once I'm caught up to my current point in the game, I will get back to my usual style. I thank you for your understanding, and hope that what I have to offer you throughout the rest of the playthrough will be enough to make up for this failure. So, I surfed to Coumarine City ("Port Tempères") atop Moss, the shiny Tauros who is unusable in battle. No Fairy Pokemon can be found on Route 12, and the journey is largely uneventful. Upon setting foot in the city, I got a call from Serena challenging me to a "little fight" outside the gym. At the train station, I ran into the professor and...Diantha ("Dianthéa"), who I actually have never mentioned before in this run. Oops. Before I left, I went and talked to the TM quiz girl; it turns out that if you answer her question wrong, you can just try again! I got...uh...Trick Room! This...is the first time I've ever faced this gym leader without having a massive type advantage. Let's see how much I remember, in no particular order...I think my team was Mimi, Bruiser, Abri, Belladonna, Gladys (long time no see!) and Cinders. (Forgot to swap her out -_-) Weepinbell didn't give me much of a problem - I assume I used Abri against it. Cinders actually ended up taking down Jumpluff (who only has Leech Seed, Acrobatics and Grass Knot, when Carbink weighs only 13lbs). Gogoat...required my entire team to beat, as well as liberal use of healing items. It's surprisingly powerful! I won the battle and received the "Badge Végétal", then set off for the Power Plant. Lumiose Badlands...honestly might be the most annoying area in Kalos that's not a cave. A big, featureless desert with wind that slows your walking speed to a crawl, rollerskating tracks that only go one way, and wild encounters that literally chase you (and often have Arena Trap)...ugh. But I made it to the Power Plant! If I may brag, I managed to immediately find the dropped pass without using the Dowsing Machine. :D (Keep in mind that I couldn't understand the grunt's oddly specific description of where it was!) I liberated the plant from Team Flare (including unmemorable lady scientist Aliana/"Ancolie"), using mostly Gladys. On my way out, I run into AZ for the first time, and...I don't have anything funny to say. I just sincerely wish we got to see him more often in the game, you know? So, I'm all caught up now. Next time, the Lumiose gym battle - and, this time I promise, better content. Once again, thank you so much for reading. March 28th, 2018 (6:49 PM). Edited March 28th, 2018 by EmTheGhost. So, I make it to the newly-powered up Lumiose City, watch the ~*lighting of Prism Tower*~ with my friend, and meet Lem (Clemont) and his sister Clem (Bonnie). I step inside and go through the whole quiz - it actually wasn't that much harder in a foreign language, since it's mainly visual and I've gotten a feel for the French names of Pokemon. Now, let's do this. 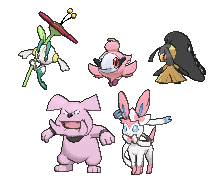 I lead with Cinders against Emolga. Emolga Volt-Switches with Magneton (Magnéton), Cinders uses Stealth Rock (TAKE THAT EMOLGA). I switch in Bruiser as a “sacrifice” for Magneton’s Steel attack; but surprisingly enough, she hangs onto almost half her HP! Next turn, I have her use Parabolic Charge just for the heck of it; Magneton uses Electric Terrain instead of finishing her off. Bruiser uses a slightly-boosted Parabolic Charge; Magneton uses...an Electric attack, leaving her at 16 HP. Next up is Helioptile (Iguolta). I send out Gladys, because I want to try something. Helioptile uses...uh...Thunderbolt; Gladys uses Roar, bringing Emolga out - straight into x2 Stealth Rocks. >:D Emolga uses Volt Switch, knocking Gladys out, but ensuring that it’ll eventually have to take another hit from the pebbles. A little anticlimactic, but I’ve wanted to do something like this ever since Gladys learned Roar! ...Aaand promptly gets pounded into the ground by the sun lizard. To sum up, Abri takes a Thunderbolt, then uses Infestation. Next turn, I try to use Substitute, but it turns out that’s stupid because Helioptile’s next Thunderbolt leaves him at 5 HP. I...do not know what to do. I drag it out for a bit with Protect and healing items, and Helioptile also gets healed at some point; but when Infestation wears off, I know I have to do something besides flail about aimlessly. I use a Revive on Cinders because why not, and Helioptile knocks out Abri with Quick Attack. But I don’t send Cinders in right away - I send out Potpourri. She has an Eviolite; maybe she’ll fare better against Helioptile’s attacks! Nope. She only gets one Draining Kiss in before fainting. I send out Mimi, who uses Wish but gets knocked out before it can take effect. I’m beginning to realize...this is bad. I send out Cinders and heal her, Helioptile uses...Quick Attack, doing, like, 4 damage. Huh? Next turn, it does the same thing. 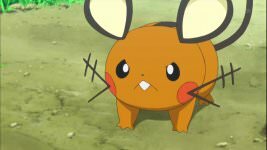 At some point, while Helioptile was discharging a city’s-worth of electrical power into my team, it expended the last of its Thunderbolt PP. Quick Attack is the best it can do, now. I take this opportunity to raise Cinders’ Attack 6 stages, heal her, then Smack Down Helioptile. Emolga comes back out - right into the Stealth Rocks, I might add - and use Volt Switch, but it’s hopeless. One more Smack Down. Emolga’s out. An unconventional way to win, but I’ll take it! The “Badge Tension" is mine! April 26th, 2018 (6:06 PM). May 17th, 2018 (6:08 PM). Edited May 18th, 2018 by EmTheGhost. Next up is Route 14, where I meet with Serena and Trovato (Trevor - have I really not told you his name before?!). The rival battle is unremarkable, then the rest of my friends show up...Ugh, this part always bums me out. Your rival is so upset about losing to you again that they miss out on a fun little outing with their friends - sure, they say it's because they "need to train", but we all know the real reason. Anyway, we head over to the (not even remotely) scary house, and I learn how to say �a horse of faceless men" in French, which is invaluable knowledge. UNE HORDE D'HOMMES SANS VISAGE! Now, beyond the marshy path that is Route 14 lies a very special place�Laverre City! *~*~*~ The Fairy capital of Kalos! She sends out Mawile; I lead with Cinders. Cinders sets up Stealth Rock and Reflect; meanwhile, Mawile gets two Iron Defenses up. I switch into Dandy as Mawile uses Iron Defense again; but it doesn�t matter, because Dandy uses Moonblast. Mawile rather ineffectually uses Crunch, which happens to activate Dandy�s Cute Charm. Dandy uses another Moonblast; Mawile survives on like 1HP, but is too enraptured with Dandy's...delicately beautiful flesh-ribbons, I guess, to get an attack off. I try to take Mawile out with Quick Attack, but Valerie uses a Hyper Potion - darn! Dandy uses Moonblast two more times; Mawile uses Crunch. (Top 10 Anime Betrayals) Cinders� Reflect has worn off by now, but it�s still not very effective, so it doesn�t do a lot of damage. Valerie uses another Hyper Potion; I go for Draining Kiss because I never learn. Dandy uses Moonblast, Mawile breaks through infatuation to lightly tap him with another Crunch. Dandy takes Mawile out with another Moonblast. Valerie sends out Mr. Mime, and I send in Abri. Both mimes are level 39. Abri uses Toxic, which I taught him in place of Infestation. Valerie�s Mr. Mime uses Light Screen. Abri uses Substitute; the opposing Mr. 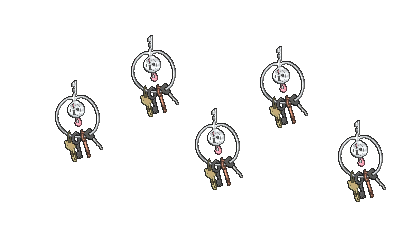 Mime uses...an attack that I later figured out was Dazzling Gleam, which breaks Abri�s Substitute. From this point on, Abri stalls out the Ms. Mime with Protect and Substitute, finally taking it out with Psybeam. 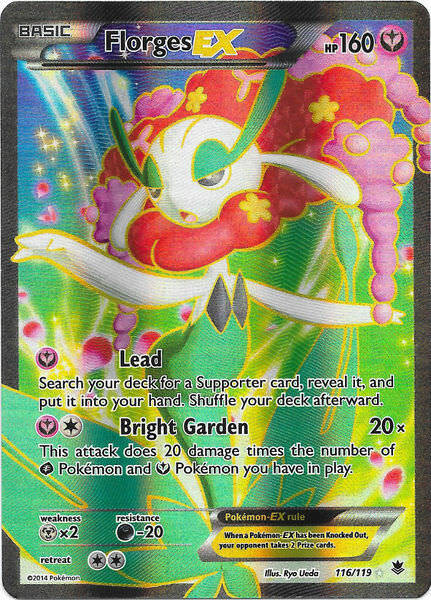 Valerie sends out Sylveon, I send out Belladonna - here we go. Pointed stones dig into Sylveon, and Belladonna gets an Intimidate off. I decide to swap into Mimi and back to Belladonna - I don�t want to deal with infatuation, and this way I�ll get another Intimidate up. Sylveon uses Dazzling Gleam, bringing Mimi down to about half health with a crit. Mimi outspeeds and uses Wish on the next turn; Sylveon Gleams again, but Mimi survives. I swap in Belladonna, straight into an attack, but Wish gives back all her HP. Sylveon uses Dazzling Gleam; Belladonna uses Fairy Wind. Belladonna uses Power-Up Punch - I slapped the TM on her in place of Astonish. She uses it again, ending up at 9 health after Sylveon attacks. I use a Max Potion on her and use Return (another new TM). 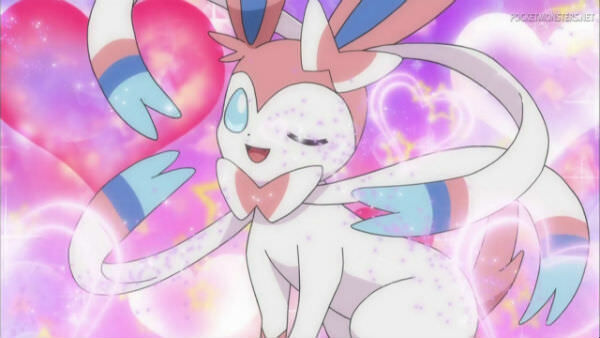 Sylveon uses Charm. Belladonna uses Return. Sylveon faints! I win! May 19th, 2018 (6:56 PM). I�ve gotten my 6th badge, but those stupid Flare grunts still won't let me through to Route 15. I tried to tell them I lost my keys in there, but no luck. Time to storm the Pok�ball factory! I put Gladys in my party - I'm not finding many opportunities to use her lately; but she was such a good help at the power plant, I think I'll bring her along for a rematch with Team Flare. >:3 My li'l brachycephalic superhero. I get through the gauntlet of grunts with relative ease, finally teaming up with Serena to take down Bras�nie (Bryony) (the one with green hair) and Cyane (Celosia) (the one with purple hair who falls down). I receive the Master Ball and a Big Nugget; Serena gets the same (otherwise I would've thrown a fit). You're beautiful, my floral friend. June 6th, 2018 (3:22 AM). Laverre City is a lovely place; but I've gotten everything I need from it. Farewell, city of fairies; next stop, Dendemille Town! The town of, uh, windmills, roller skating rails, a light dusting of snow...and most importantly, the Move Reminder! Belladonna finally gets Iron Head and Play Rough! I think she's officially...what's the word? Unstoppable. I head on up to Frost Cavern real quick, only to discover an Abomasnow being terrorized by fourth and last Flare-scientist-Lady, Myosotis (Mable). (Looking at her is making me want a blue raspberry lollipop…) Me and Trevor shoo her and her grunts away...Side note, I'm sort of miffed that they set things up for a tag battle with Trevor in this bit, then went “LOL nope" and made it a regular single battle instead. Let me connect with my videogame friend, dangit. I exit Dendemille Town by riding a Mamoswine across an incredibly frustrating, treacherous snow-and-rock-laden path, which helps me understand why so few people live in Dendemille Town. Serena calls and challenges me to a battle in front of the gym, which I decide to get out of the way immediately. It's largely unremarkable; I try to use Keke in the battle, but I have yet to optimize her moveset, so all she really gets to do is set up three layers of Spikes against Meowstic. I may have won the rival battle, but I'm not quite ready to take on Olympia - I need to level grind a bit, and there's a certain TM I want that's only available in the morning. While grinding on Route 17, I catch a random Delibird (Cadoizo), because I'm sick of not having Fly (and apparently penguins can fly now). He'll be Moss's friend. Next update: Anistar Gym battle! June 15th, 2018 (9:23 AM). 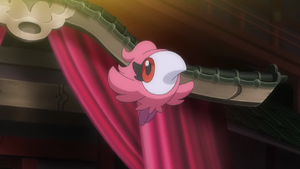 Belladonna was with Seeley when this Trainer caught a Cadoizo (Delibird). She vaguely remembers that it made her smile. Cinders went with Seeley to a cave that looked like mirrors and saw her reflection. She clearly remembers that it was soothing. Moss met Seeley on a path overhanging the sea. He agreed to enter his Poke Ball, and that's how their friendship began. He remembers vaguely that it made him happy. June 18th, 2018 (10:12 AM). Edited June 18th, 2018 by EmTheGhost. I’ve made all the preperations I need to - it’s finally time to step inside the Anistar Gym! On a side note, I’ve always been fascinated by the implications of this gym - I mean, there’s a whole freaky, nebulous pocket dimension contained in it! Did Olympia <i>create</i> that? If so, doesn’t that make her the most powerful psychic in the series? Or did it already exist somewhere in the multiverse, and she just found a way in and decided it would be a novel place to build her gym? 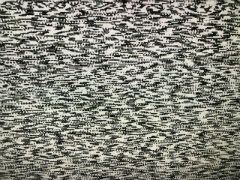 Oh my gosh - could this be somehow related to Ultra Space?! So many questions!! I lead with Bruiser against her Sigilyph (Cryptéro) - I’ve got a plan. Bruiser outspeeds and uses Nuzzle, paralyzing Sigilyph. Sigilyph uses Light Screen - anticipating Reflect next, I swap in Keke. I don’t know if I was right or not, because Sigilyph is fully paralyzed - Keke swaps in without taking damage. Excellent. Let me take a moment to tell you what Keke's current moveset is...Substitute, Double Team, Toxic, & Draining Kiss. >:) I'm looking forward to this. Keke uses Substitute, Sigilyph uses Psychic, but it doesn’t take out the Substitute. Keke uses Double Team. Sigilyph uses another Psychic, taking out Keke’s Substitute - so I throw up another one. Sigilyph uses Reflect. Keke uses another Double Team, Sigilyph uses Light Screen (as the original one has expired). Psychic. Hit. Substitute still up. Reflect, after the original one expired. Now it’s time to attack. Keke uses 5 Draining Kisses on Sigilyph (restoring all her health) before it can land an attack on her. I have Keke use Substitute again; Sigilyph is paralyzed. 1 more Draining Kiss, then Olympia unfortunately uses a Hyper Potion. Draining Kiss, Draining Kiss, Draining Kiss, Draining Kiss and...I’m out of PP on my only attack, and Olympia uses another Hyper Potion. This going to be obnoxious. Keke uses Double Team again, but as I’d suspected, my evasion is already at max. Next turn, I use an X-Defense for the heck of it. Sigilyph is down to using Air Slash to attack - Psychic must’ve run out of PP. I use Toxic, even though Sigilyph already has a status condition. I throw a Pokeball at Sigilyph...and then realize that doing so doesn’t actually consume the ball. Oh, Olympia...you have no idea what you’ve gotten yourself into. I stall out the Sigilyph’s PP by uselessly throwing Pokeballs - really let that sink in, because you might never see anything like this again. Keke’s Substitute fades 1 time in the process, and is quickly reinstated. Finally, Sigilyph begins to Struggle. It only takes three uses (and one extra Substitute) for it to faint. This one, I don’t plan on forcing into struggle. Meowstic uses Fake Out on my Substitute, but it misses, and Kiki gets a Toxic up. I use an Ether on Draining Kiss because I don’t want to throw anymore Pokeballs. (Or, I do, but I was beginning to feel a bit dirty doing that). I rack up some damage with Draining Kiss and Toxic as Meowstic gets a few calm minds up - then Meowstic uses Shadow Ball and hits through my Substitute, which mildly freaked me out until I looked it up and found out that it has Infiltrator. Keke survives, though, and I use a Max Potion on her - Meowstic gets in another Shadow Ball before Toxic damage takes it out. Keke is still on the field. Slowking’s next. Another Toxic. Slowking (Roigada) uses Psychic repeatedly, to no avail - Keke is simply too evasive. Draining Kiss and Toxic damage fell the Slowking before it can land a single attack. I win! July 14th, 2018 (2:20 AM). ...I didn't want to post again until I had an actual update, because I'm tired of apologizing again and again, but I just can't. I have to put this on hiatus for my own self-care. That's all I can really say about it. March 14th, 2019 (4:11 AM). Excuse me for putting this here, and I realise that this is almost a year old now, I just wanted to say that I enjoy seeing things like this. It's a nice change from the usual nuzlockes you see around.